Ginger root has been used as an herbal remedy for more than 2,000 years to treat conditions such as upset stomach, nausea and diarrhea, according to the University of Maryland Medical Center. Whether it will help reduce or cure vomiting, however, may depend on what is causing you to vomit. Check with your doctor before taking ginger, as it can interfere with certain medications, including blood thinners and those for diabetes and high blood pressure. Ginger may be helpful in the case of nausea and vomiting due to pregnancy, according to a meta-analysis published in "Obstetrics & Gynecology" in April 2005. It also appears that taking at least 1 gram of ginger may help limit nausea and vomiting after surgery, notes another meta-analysis published in the "American Journal of Obstetrics and Gynecology" in January 2006. 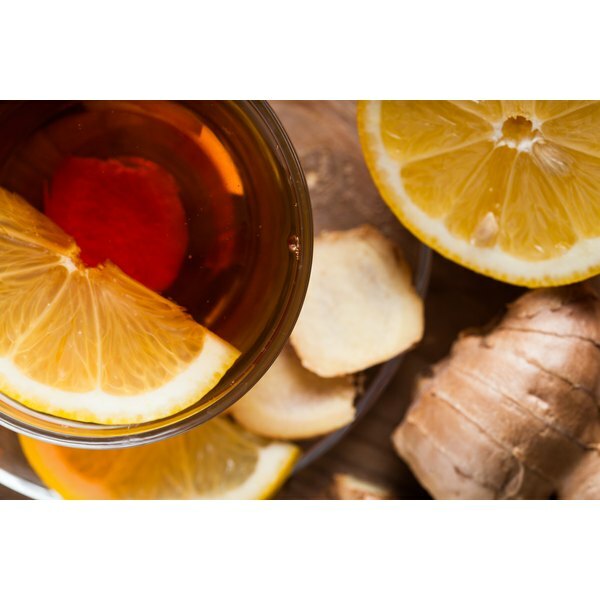 Ginger might not be useful if your vomiting is due to chemotherapy, however, says a study published in "Supportive Care in Cancer" in May 2009.